Spring has sprung, the evenings are longer, the kids are off for Easter and there is plenty to see and do in Ipswich that will keep the little-ones entertained! Visit Wool.I.Am, the Wooly Mammoth, explore the ancient Egyptian artefacts and discover what Anglo Saxon Suffolk was like for our ancestors. Ipswich Museum is full of fascinating and exciting exhibits that will inspire all ages, plus the Museum is hosting a range of activities and workshops throughout the Easter holidays including. A one-in-a-lifetime chance to see this iconic piece at art, right here in Ipswich at Christchurch Mansion! 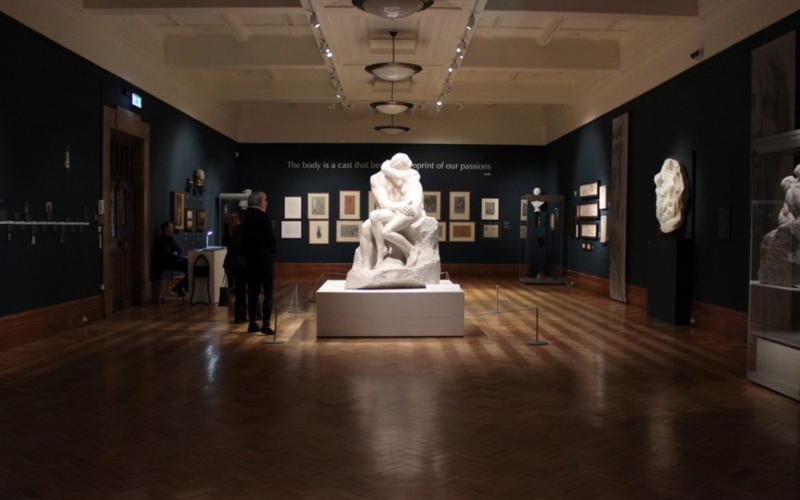 Discover the romantic yet tragic story behind the sculpture and explore the other weird and wonderful artworks in the exhibition including African figurines and works by Michelangelo. Something thrilling for a competitive bunch! Anglia Karting is the biggest indoor karting centre in the East of England with an exciting track spread over two levels and a range of different tournaments, Happy Hour offers and group options available. Ipswich is lucky to have three beautiful parks right near the town centre; Christchurch Park, Holywells Park and Chantry Park. On a nice day, just relax in these beautiful green spaces whilst the little ones can burn some energy in the playgrounds or kick a ball about! Join the team at Lakeland Ipswich throughout the Easter holidays are FREE Easter Egg Hunts around the store in the historic Ancient House building. Head to Jimmy's Farm, just 10mins from Ipswich, and meet the animals including the newly-born lambs! Explore the butterfly house, watch the meerkats, feed the goats and take an adventure through the forest; Jimmy's Farm is a great day out. The Buttermarket has had a real makeover and is now full of some great things to do! Watch one of the latest films at Empire Cinema or visit Superbowl UK; where you can take the kids bowling, play on the arcade or get the heart-pumping in the Ninja Tag course. And then afterwards, go for lunch or dinner in one of the restaurants; Byron Burger, Coast to Coast, Cosy Club, Prezzo or Wagamama. One of Ipswich's most unique attractions, Ipswich Transport Museum has an incredible collection of old Ipswich buses, lorries, trolly cars, emergency vehicles and loads more; with some open for you to climb aboard and explore. And on Sunday 14th April, the Museum will be bringing a range of their vintage vehicles to the town centre for a special Outdoor Display on the Cornhill; not to be missed! As the culture capital of Suffolk, Ipswich is home to some of the region's best theatres and production companies; and this Easter there are some great family-friendly shows to take the kids too! New Wolsey Theatre ...comedy, drama and kid-friendly theatre. Ipswich Regent Theatre ...big-name shows, comedians and musicians. DanceEast ...contemporary dance performance and dance classes available for all ages. Pacitti Company ...performance group and Think Tank residents, with regular creative workshops. Throughout the Easter holidays, Starglazing Ceramics at Suffolk Food Hall are running ceramics workshops for children aged 5+ which are a perfect chance for kids to get creative, have some fun and get messy with clay!